Left to right: Rose Whipple, Mishka Banuri, and Valeree Catangay. On this edition of Your Call, we speak with three honorees of this year’s Brower Youth Awards, which recognizes young leaders in the environmental movement. Young environmentalists are saving key pollinator species, fighting oil pipelines on indigenous lands, and building inclusive movements to protect the planet and those most affected by climate change. Where do young people see this movement going? What issues do they find most urgent and how can we support them? Every year, the Brower Youth Awards recognizes the work of six young leaders for their accomplishments in the environmental movement. One year after Standing Rock, what is the state of Native activism? What have we learned about the brutal crackdowns? World leaders are scheduled to meet in Paris soon, trying to draft an agreement on how to combat climate change. Among the heads of state, you'll also see California Gov. 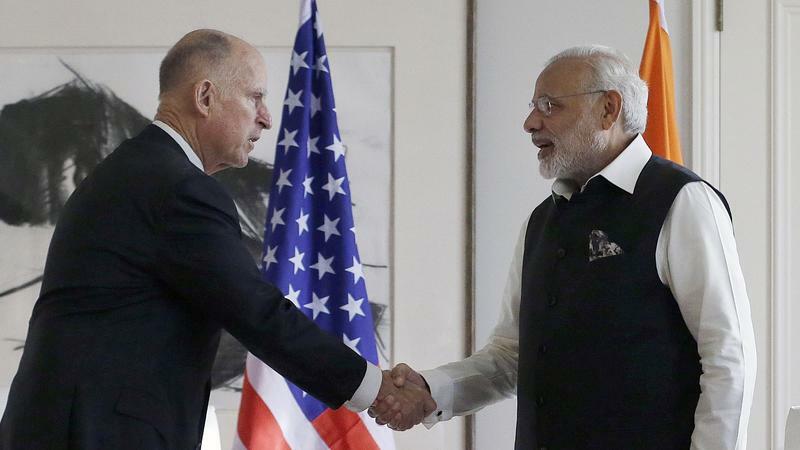 Jerry Brown, who is spearheading his own international climate movement. Brown has been on an international diplomatic tour the last few months — all about climate change. "The world faces an existential threat," he told Canadian leaders in July. Then, he went to the Vatican. "Whatsoever a man soweth, that shall he also reap," he said.